Clara Belle Lasley, 97, of Corydon, died Wednesday, March 27, 2019, at her home in Corydon. She was born January 29, 1922, in Corydon, to the late George Nelson Crone and Lillian Gutknecht Crone. She was a member of the Corydon Christian Church Disciples of Christ. 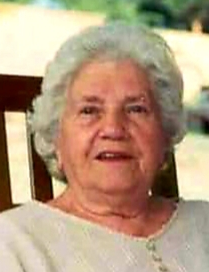 She was preceded in death by her parents; her husband, Warren Lee Lasley; her sons, Rodney Lee Lasley and Brent Lasley; her daughter, Karen Jensen; her grandchildren, Rodney Lasley, Jr. and Autumn Lasley; her great grandsons, Nicholas Decker, Timothy Stephens, Kevin Cunningham, and Jerry Risinger; her brothers, Glen, Carl, and Cecil Crone; and her sisters, Betty Mitchell, Aileen Steiner, and Ada Backherms. Survivors include her son, Norman Lasley (Sally) of Mount Pleasant, Indiana; her daughters, Brenda Morford, Lillian Rhodes (David), and Mindy Sterling all of Corydon; her brother, Archie Crone (Betty) of New Salisbury, Indiana; and many loving grandchildren, great grandchildren and great great grandchildren. Funeral services will be at 2:00 p.m. Sunday, March 31, 2019, at Beanblossom-Cesar Funeral Home in Corydon. Rev. Larry Hensley will officiate. Burial will be in Cedar Hill Cemetery in Corydon. Visitation will be from 10:00 a.m. – 8:00 p.m. Saturday and after 9:00 a.m. Sunday at the funeral home. The family requests that expressions of sympathy be made to Kindred Hospice or another charity of your choice. Pallbearers will be Kelly Cunningham, Jason Rhodes, Daniel Morford, Christian Sterling, Timothy Lasley, and Shelby Rhodes. Honorary pallbearers will be Josh DeWeese, Gage Kendrick, and Triton Martin.